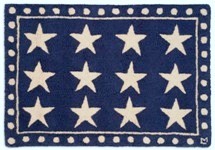 American Traders' rustic product line includes a varied collection of floor rugs and mats. These pieces complement our tables, benches and chairs. 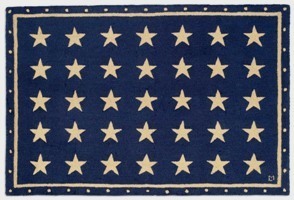 These rugs are made from 100% wool and designed in Vermont. 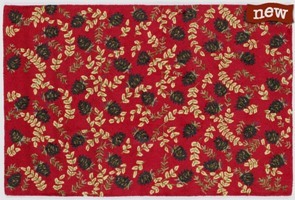 Stars, fish and pinecones are the core patterns in the collection. 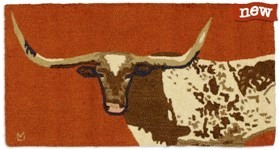 We have also added small Longhorn steer and songbird designs to match our hickory benches. 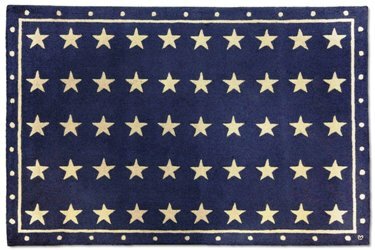 Along with these American Traders also provides an assortment of decorative and functional accessories & gifts that look fantastic in your home, camp, cabin, or lodge. Classic Birch Bark Canoe with Paddles on a Black background create an elegant composition. 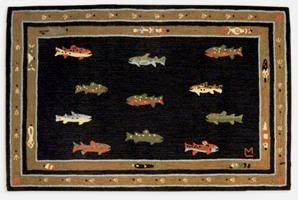 2' x 4' hand hooked rug, 100% New Zealand wool. Designed by Laura Megroz. What a lovely attitude this longhorn steer has! 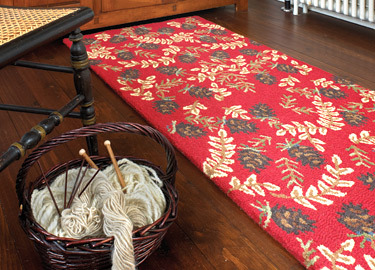 Vibrant rustic browns really bring this rug to life. A good compliment to leather furniture. 100% New Zealand hooked wool. Designed by Laura Megroz. 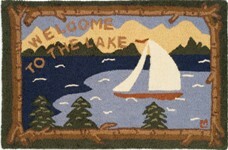 The perfect mat for the front door at the cabin. 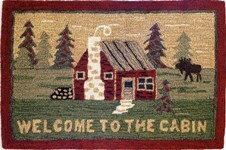 Delightful design has a great cabin feel. 100% New Zealand wool. Designed by Laura Megroz. 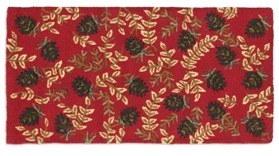 Wonderful dark pinecones and lively foliage really glow in a brilliant ruby red background that draws attention wherever it's placed on the floor. 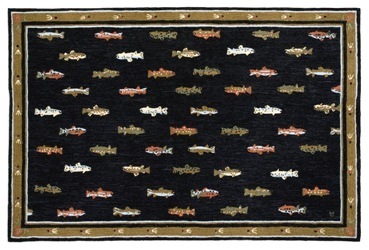 100% New Zealand hooked wool rug. Designed by Laura Megroz.